Fans of one of the classic British cars of a generation can own a piece of history as BMW celebrates Mini’s 60th birthday by producing a limited 500 edition run of Cooper S Minis. Whilst there will be no return for the traditional size and style Mini, there will still be plenty of classic nods to the original compact car which revolutionised the industry way back in 1969. 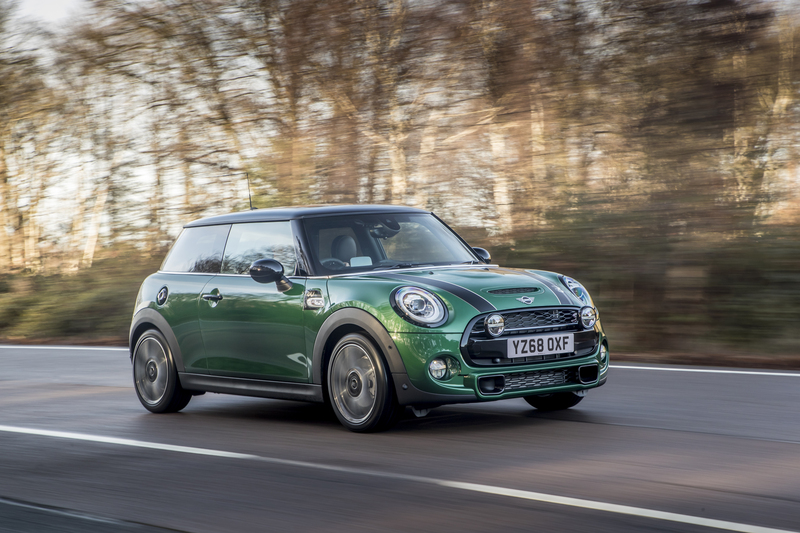 Built exclusively for the UK motoring public, the new MINI 3-door Hatch Cooper S 60 Years Edition will come complete with a new British Racing Green IV paint job, and in true Cooper style comes with some classic racing speed, accelerating from 0-62 in just 6.7 seconds. The birthday MINI will also incorporate special anniversary design bonnet stripes and model exclusive 17-inch light alloy wheels in 60 Years Spoke 2-tone. As to be expected, the 60th anniversary MINI is not without innovation and unlike the original, this MINI comes with an LED logo projection from the driver’s door. Perhaps the only downside to this limited edition is that it will only be available with automatic transmission. However, there is a bounty of hi-tech entertainment within to keep you occupied. If you want one, they will be quite rare at just 500 editions and can be offered from MINI retailers nationwide, priced at £29,990 on the road.